Alright Summoners, prepare yourselves for the biggest and baddest Field of Justice! 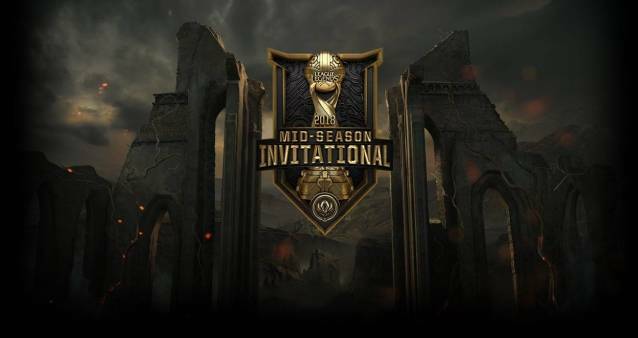 We are on the cusp of the Global Esports Mid-Season Invitational this May. The Play-in Stages will be held May 3rd through May 6th in Berlin, Germany, and the Knockout Stages May 18th through May 20th in Paris, France. In the Mid-Season Invitational, regions will battle it out. And along with the upcoming Rift Rivals events, will help to shape the World Championship held later this year in South Korea. The teams will compete in a best of one round robin. This is otherwise called ann all-play-all tournament, where each team plays all of the other teams in turn. The winners from each pool will be seeded against Vietnam or LMS in a best of five. The two winners of the playing will move on to the Group Stage on May 1tth to do battle with the representatives from Europe, North America, China, and Korea. The outcome determines which regions win the first international tournament of 2018! As you can see, Vietnam is now it’s own region and is sitting in wait at the second stage of the play-in. This has to do with the GigaByte Marines excellent representation at MSI and World last season. You may also have noted that the NA LCS and LMS have interchanged spots. So, they won’t have to suffer through five games against the Gigabyte Marines in this League of Legends Mid-Season Invitational play-in. Regions are split based upon their previous performances at international competitions. So, Pool One teams have had stronger prior event performances, while Pool Two teams are a bit more up-and-coming. Rainbow7 has 10 Latin America North titles. They have constantly smashed the regional competition and only fall short at the Group Stage level. Gambit Gaming is one of the most recognizable names in LoL and they are coming off a 12 and 2 season and 6 and 1 in the playoffs. They absolutely dominated the LCL, only dropping one regular season game. 4-time CLS Champs, KAOS Latin Gamers have been training hard to move beyond regional success in the hopes of an international victory. Thailand’s ASCENSION has repeatedly battled Vietnam for the GPL title. They have also won the Thailand Pro League thrice and after a dominant run, they took out the Kuala Lumpur Hunters to secure their place representing SE Asia. KABUM! Has been absent from the international scene since 2014. It’s been a few years of challenges for these Brazilians, but they are back in top form and ready to make a run towards the Knockout Stage like they did a few years ago. BAUSUPERMASSIVE have never missed MSI! They return to the play-in stage with a ridiculous record of 26-2 … owning the TCL. The Dire Wolves were undefeated during the regular season, making it their third straight OPL victory. This is their second appearance at MSI. PENTAGRAM was previously known as RAMPAGE, but three additions to the roster prompted the name change. The team has taken their fourth straight LJL title and went 3-0 in the finals to get their MSI berth. Experts love Rainbow7 in Group A to be the team to beat. And in Group B, the favorite would have to be SUPERMASSIVE. But let’s look at the BetOnline Esports odds to see what Las Vegas and Online Esports betting sites think about the teams. Odds are not out yet for Group B, so be sure to check back with BetOnline for that over the next few days, But Group A odds are out and Rainbow7 is indeed heavily favored against the rest of the group.